*Don't Forget! * Wacky Weekly Coffee Sale: Breakfast Blend, Deidrich Morning Edition & More! *Don’t Forget! * Wacky Weekly Coffee Sale: Breakfast Blend, Deidrich Morning Edition & More! 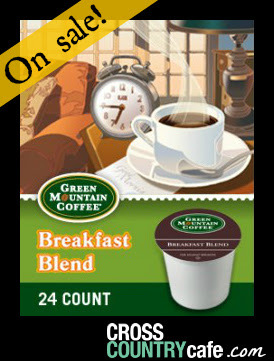 Green Mountain Breakfast Blend Keurig K-cup coffee is on sale this week for $11.99 per box of 24!! 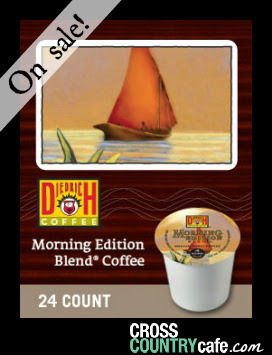 You’ll also find Deidrich Morning Edition Keurig K-cup Coffee on sale for $9.99 per box of 24! This week you will also find ALL Hiline Coffee Nespresso compatible capsules are on sale this week for $4.99 per box of 10. Sale runs Wednesday, October 22nd, 2014 through Tuesday October 28th at midnight EDT. « L.A. Looks Hair Gel, As Low As $1.19!